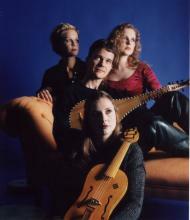 As a matter of course, London-based Anglo-Norwegian cello trio Tre Voci (consisting of Torun Saeter Stavseng, Gregor Riddell and Colin Alexander) sit on a triple cusp. 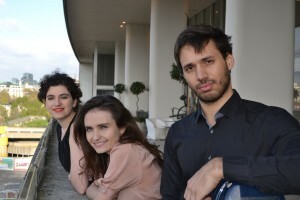 Their work focusses on Early music, contemporary compositions (they’ve premiered work by composers including Mica Levi, Alex Nikiporenko, Bryn Harrison, Kit Downes, Peter Wiegold, Edwin Hillier and Sergei Zagny) and improvisations. Much of this early December concert (played twice in a single day, under the aegis of the Nonclassical organization) sees them explore the third of these directions, creating “meditative” new surround-sound music in combination with outstanding Iranian hand-drummer Mohammad Reza Mortazavi. Laid out in the ICA’s performance space, it will be part gig, part walk-through three-dimensional installation, with further synaesthesic dimensions added by the live visuals from Norwegian artist Henrik Koppen. There was a time when Keith Burstein could barely stay out of trouble. 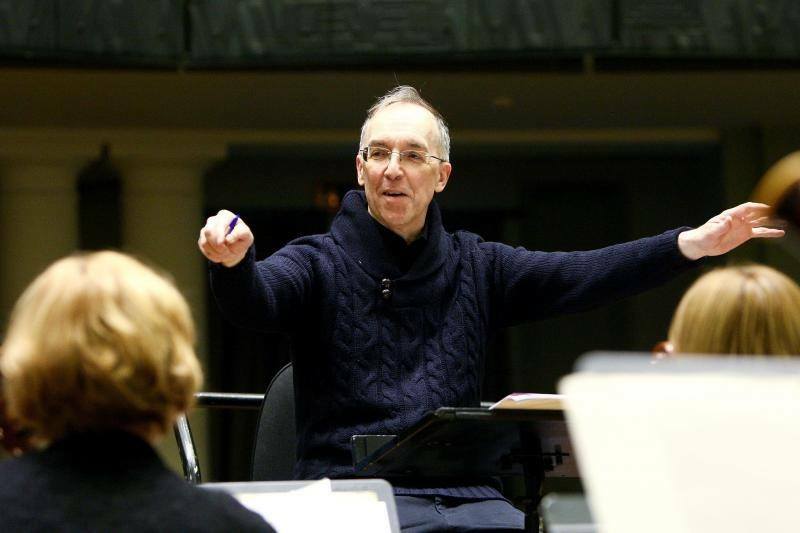 As a conductor and commissioner of New Music, he was a rising pillar of British contemporary classical music during his twenties. However, his discovery of his own composing voice – staunchly tonal, in fervent reaction to the austere high-modernist abstractions of the times – drew him into a series of vicious joustings and spats in the early ‘90s, played out first within the musical community, then in the press, in the concert hall and ultimately in the libel courts. He fought hard. The establishment he’d jilted and criticised fought equally hard. There’s not been much forgiveness on either side. Ten years later, his opera ‘Manifest Destiny’ (which took a broad-brush metaphysical approach to the War on Terror) was performed in Edinburgh in the wake of the London suicide bombings of 2005. Further spats followed over alleged glorification of terrorism. There was another court case, and a bankruptcy. As before, Keith would argue (and continues to argue) that he was fighting not just for his own right to musical self-expression and political challenges, but for everyone else’s. Subsequent adventures have been quieter (and his rebellions subtler), but even as he approaches his sixtieth year he’s never entirely lost that self-appointed role as vehement high-culture renegade. With all that said, the ultimate Burstein concerns and preoccupations seem more suited to metaphysical and spiritual realms rather than the political and strategic trappings of the battles he’s fought, and their scale and fervour have tended to overshadow the music: the water-pageant melancholy of ‘Requiem for the Young’, the entanglement of manners and compressed frenzy in his ‘Dance of Love/Dance of Death’ string quartet; the foreboding elegance of his choral Holocaust meditation ‘The Year’s Midnight’ and the lucid romantic panorama of his ‘Elixir’ symphony. When writing to a grander scale, he composes work that in some respects resembles the Whitehall of his beloved London – looming and aspirational; fascinated by the power of architecture and history, yet at the same open to and ownable by passers-by; his structures echoing the antique yet repurposing them to modern ends, and being buffeted and reshaped by contemporary impacts; an meticulous admixture of historicism and retrofitting. This month’s lunchtime recital, however, provides the opportunity to appreciate his music on a smaller magnitude, at a remove from grander clutter of conflicts and history. Packing various shorter Burstein works for piano, violin and cello into its forty-five minutes, it includes assorted piano preludes and the final movement of Keith’s recent ‘Wiosna’ cello sonata (one of several recent works in which he retraces his family history back through his parents’ work as violinists with the Brighton Philharmonic and Halle Orchestra to their Eastern European roots and Russian/Lithuanian connections). 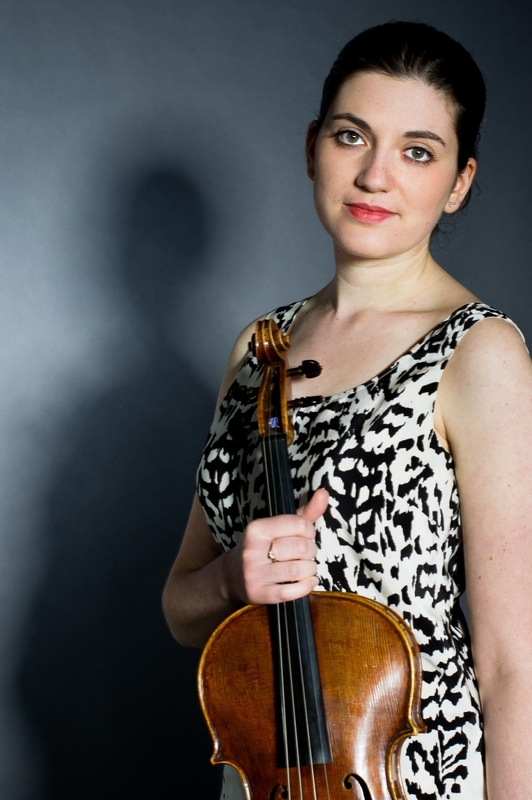 Keith (on piano) is joined by notable solo cellist Corinne Morris – whose ‘Macedonian Sessions’ reached number 2 in the classical charts this year – and by violinist/composer Roland Roberts (Solaris Quartet, City of Oxford Orchestra, Brighton Philharmonic Orchestra and many more). Both Corinne and Roland have worked with Keith before; the former premiering ‘Wiosna’… and the latter co-premiering the piano/violin duet Keith composed this year in honour of his late mother Barbara. A couple of posts ago, I mentioned that I’d got a couple of upcoming and nationalistically-inclined gigs to consider. The first of these, a Cornish music celebration, was an easygoing patriot’s-cream-tea of an afternoon, opting to put fun ahead of political confrontation. The second of the events – the Norwegian three-day London music festival By Norse – raises tougher questions almost from the start. Buying into the idea of “harder music’s position as Norway`s most important cultural export” isn’t a problem, as long as your idea of culture embraces extreme varieties of heavy metal. (For plenty of us, it does.) Outside of the Scandinavian peninsula, however, it’s a little more challenging to be asked to buy into the concept of old Nordic traditions of pure native paganism, standing firm against the corruption of an imported and state-imposed Christianity. 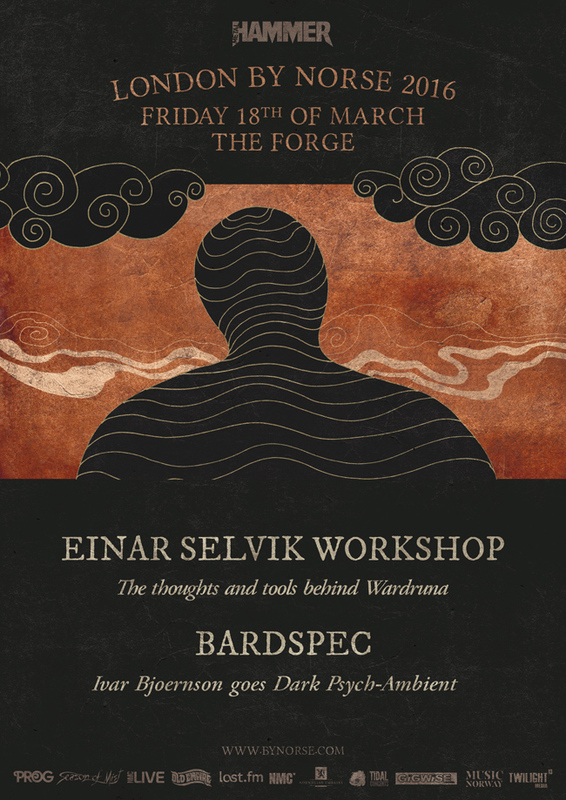 “At this Forge event, Einar Selvik will speak about his approach to Norse historical music and the extensive creative concept behind Wardruna’s ongoing ‘Runaljod’ trilogy as well as his approach and study of the runes and other Norse esoteric arts. He will demonstrate a selection of the oldest Nordic instruments, play fully acoustic Warduna music and there will be opportunities for questions from the audience. There’s some historical truth – not to mention dignity – in the neo-pagan position and in some of these neo-Viking rumblings. 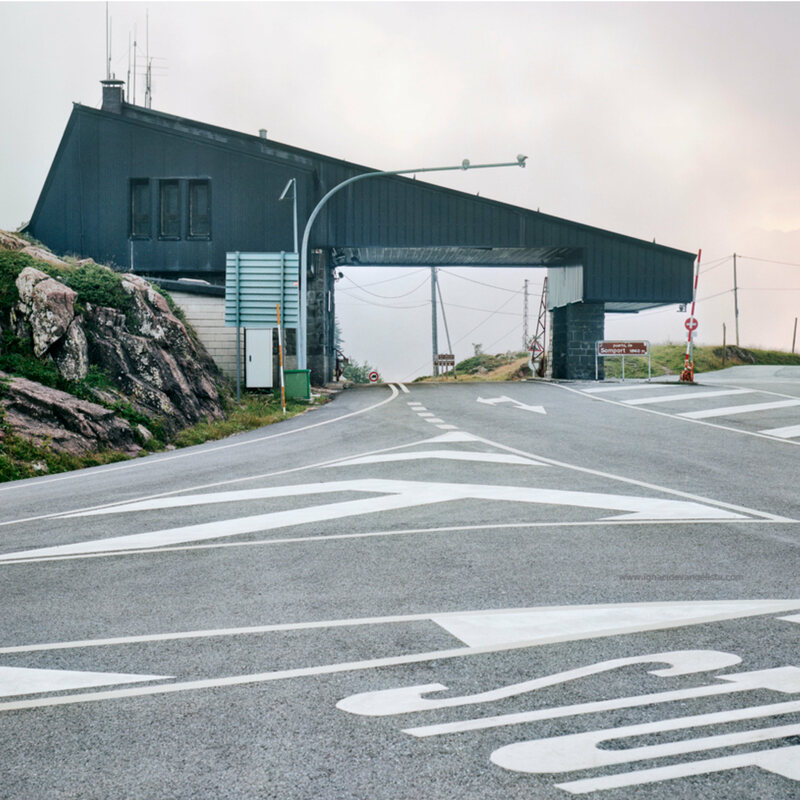 In times when more and more people are querying the long-standing cultural reflexes they live under – and becoming sceptical about the alleged benevolence of world-spanning systems – this is a local, specifically Norwegian example of pursuing a less industrialised identity. In Britain, music followers who’ve kept a long-term faith with the transformative cultural odyssey of Julian Cope (from beat pop to shamanism) are used to him rattling off tracts of anti-Christian Odinist rhetoric, exploring pagan ideas in song, and using them to raise questions about what British culture might be. In Norway, however, these matters are closer to their original home and bite a little deeper. If you want to treat these ideas with proper respect, you need to unhook them from some of the more shadowy, ominous attitudes associated with Norwegian black metal during the 1990s, when (in spates of ferocious misanthropy and rejection of contemporary society) some of its adherents travelled from politically-motivated Christian church burnings to anti-outlander racism, death-cult derangements, hate-prejudice and even murders. Under certain conditions, this culture – with its core of masculine romanticism – can succumb to the erosive lapping of a vicious and half-disguised nihilism. This isn’t something unique to Norway or even to black metal culture. It’s something held in common with plenty of dissatisfied movements with cores of action-seeking males who overturn common laws in favour of a different, structured and self-empowering ethos regardless of a negative impact on others. Something which it also holds in common with belligerent nationalism. As you’ve guessed by now, I’m sceptical… but I’m also inclined to give Einar and Ivar the benefit of the doubt. 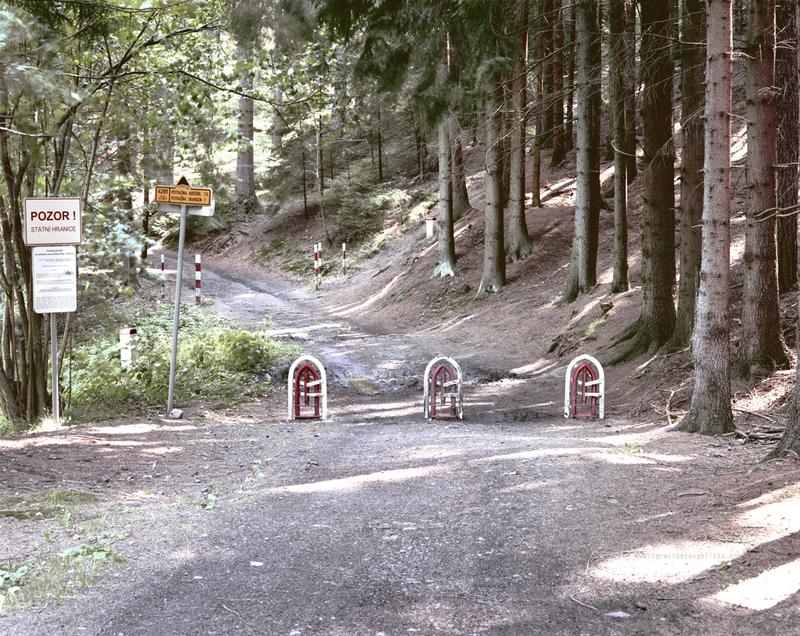 Despite their suggestions that unfavourable reviews or practical frustrations of their projects are the machinations of “Christian monks” (which might just be deadpan heavy-metal humour), their work seems to be rooted in an earnest, honourable and artistically committed place. Their dedication to their music (and their interest in how it evolves and how it draws on an interesting past, rather than continuously warming over a sterile present) is clear and evident, and they don’t appear to be motivated by smouldering surliness. Certainly there’s warrior rhetoric, and some battle lines declared; but all of it has been subsumed into music, engagement and open debate rather than hooded, ugly social violence. They might be interested in unravelling some aspects of the world as we know it, but constructively: not as a wanton teardown. You could also, of course, argue that Einar and Ivar’s philosophical stances and their co-opting of history are mostly about building a brand: that the paganism and protest primarily constitute an art project and a commercial push. Approximately two-thirds of the music in the By Norse gigs features Ivar, and most of that is with Enslaved; suggesting in turn that perhaps (fanbase notwithstanding) this scene, its impetus and its artistic adherents are smaller in number than might be desired, especially when presenting a festival. Perhaps that’s true as well: but all art movements start relatively small, at which point enthusiasm and dedication matters, and integrity is measured by the consistency of the work. 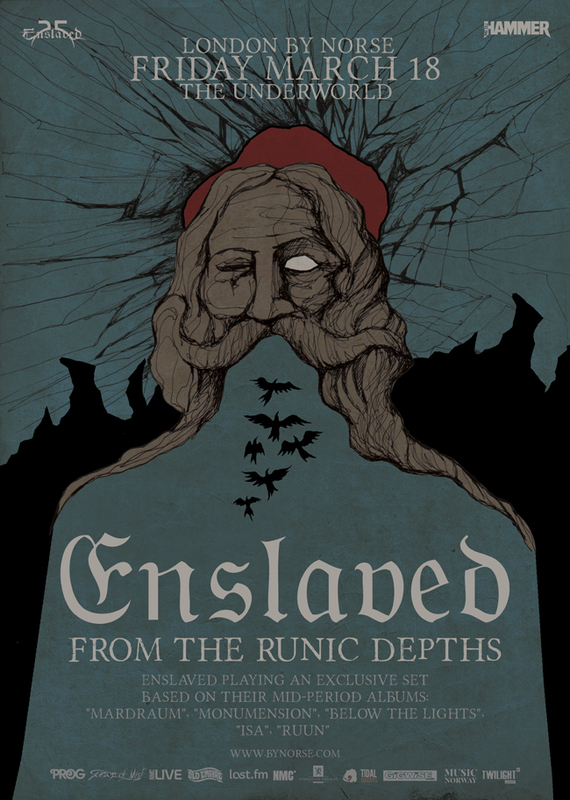 With that in mind, I’m going to stop musing and just post details on the other By Norse concert dates – the ‘Skuggsjá’ performance and the three-night celebration of Enslaved’s career, from black metal beginnings to their current psych-eclectic form. 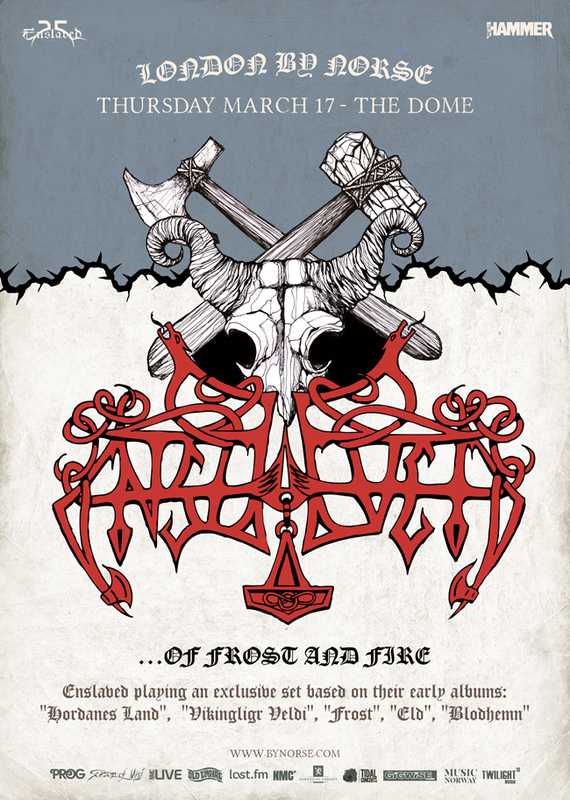 Regarding each night of Enslaved music, Ivar Bjørnson says “’…Of Frost And Fire’ represents the quintessence of Enslaved roots. From the legendary ‘Hordanes Land’ with its soundtrack-esque musical long players, via the vast geomythological canvases painted on ‘Vikingligr Veldi’; the revolutionary ‘Frost’ that lifted us out of the strict underground; and finally the odd pair – ‘Eld’, which pointed forward to a progressive future, and ‘Blodhemn’, where we had a last blowout of black metal tempos and inspiration. For anyone curious about where such an eclectic band like Enslaved came from, this will be a first-hand guided tour through the primeval landscapes that shaped us. “‘From The Runic Depths’ will explain the unlikely yet logical transition from then until now. From the nightmarish flirt with death and black on ‘Mardraum – Beyond The Within’; the spaced-out balancing act that is ‘Monumension’; the milestone and futuristic beacon ‘Below The Lights’; ‘Isa’, the second break for the band; and finally the refined prog-vs-extreme monument ‘Ruun’. Support on Night 1 comes from introspective Bergen progressive black metal band Vulture Industries, who describe their work as “dark, heavy rock vistas bent and twisted into living entities embodying the width and breadth of human emotion.” Support on the second date is by Helheim whose Viking black metal draws heavily on Norse mythology. On the third night, Wardruna will be performing a set of their own, making their second-ever appearance in the UK following an acclaimed Southbank Centre gig back in autumn 2013. 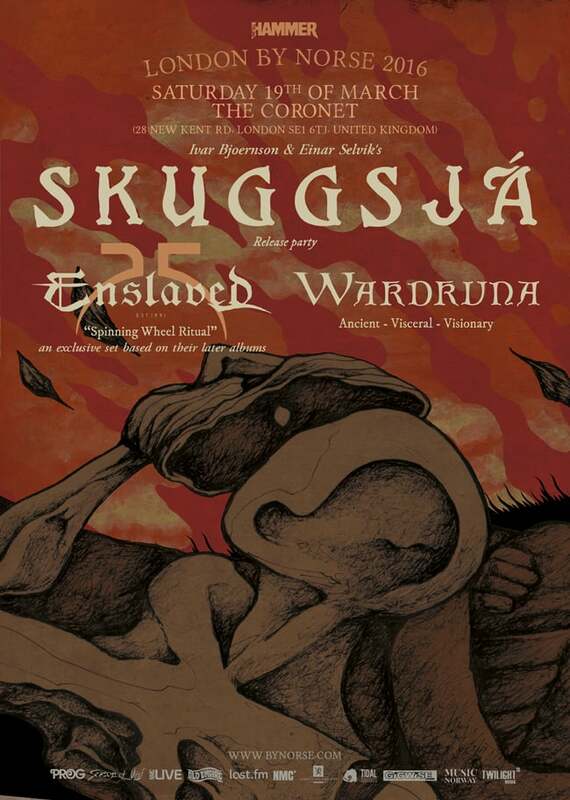 The last part of the third-night show will be a performance of ‘Skuggsjá’ featuring all members of both Enslaved and Wardruna, plus visuals by reknowned extreme metal artist Costin Chioreanu (who’s previously collaborated with At The Gates, Mayhem, Darkthrone, Arcturus among others). This will be only the third performance of the piece to date, following its September 2014 premiere at the Eidsivablot festival at Eidsvoll (where the constitution was originally written) and its subsequent performance at the Roadburn Festival earlier this year. It will also be a release celebration for the release of the ‘Skuggsjá’ album on Season Of Mist Records, which came out the previous week (on 11th March). One more thing. As you’ve read, another aspect of that final show will be an exhibition of artwork by Kristian “Gaahl” Espedal, the former Gorgoroth/current God Seed frontman who’s also a Wardruna studio member. Historically, Gaahl has been one of the more controversial figures in Scandinavian extreme metal: when at home, he’s even transcended the public anonymity of the metal scene to become an occasional tabloid bogeyman. It’s certainly true that he’s come on an interesting, turbulent and confrontational journey. For part of the picture, you’re advised to check out some of his more unpleasant mid-‘90s pronouncements on race (here and here) – you don’t have to be a Christian, or even particularly staid and self-righteous, to find this stuff alarming. Set against this is the much more easygoing way in which Gaahl revealed his own homosexuality a decade later. While it would be a little crass to suggest that Gaahl was Scandi-metal’s Malcolm X, there’s certainly a suggestion that, like Malcolm, he’s learning as he goes: making a journey from rage into something more sophisticated: staying true to his history and mistakes while not letting them constrict him, or peg him to blunt anger and inhumanity. It seems to be that the truth of all of this – the conflux of paganism and nationalism, the engagement of anger and art – is likely to be a tricky knot to unwind, and one which I’ll leave there for now. Perhaps these gigs are worth attending for the thrilling roar alone, with the complexities to be worked out later, Go and discover, if you’re interested, but I’m sure that Einar and Ivar – and Gaahl too – would want you to go in with your eyes and ears fully open.